Ongoing trend, the digital photo prints of landscapes, people's faces and body parts, under water scenery and more are seen in the collections of Jeremy Scot, Christopher Kane, Proenza Schouler, Victoria Beckham among others. 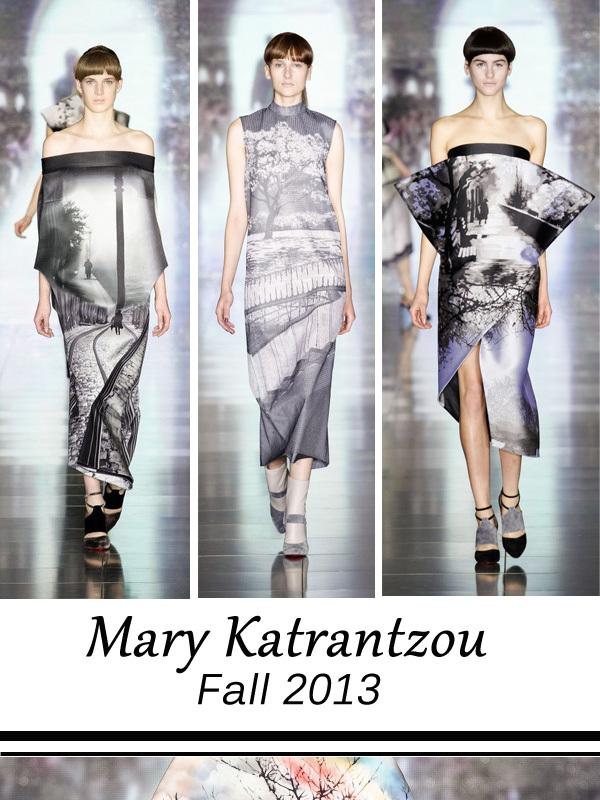 Mary Katranzou who's known for her hyper-realistic prints showed her beautiful creations for the coming fall not long ago in London. 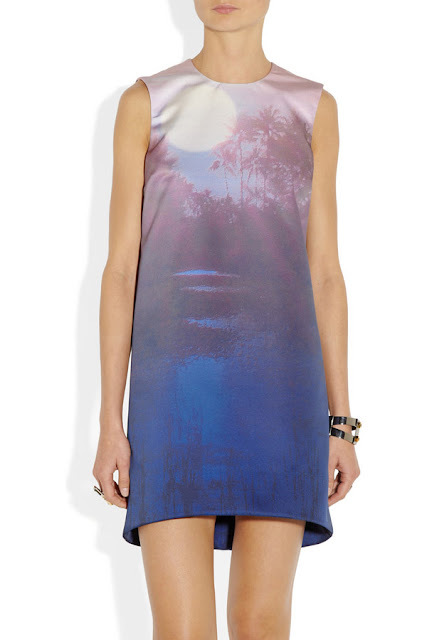 Known for her hyper-realistic prints Mary Katrantzou has become something of a fashion darling in recent seasons. 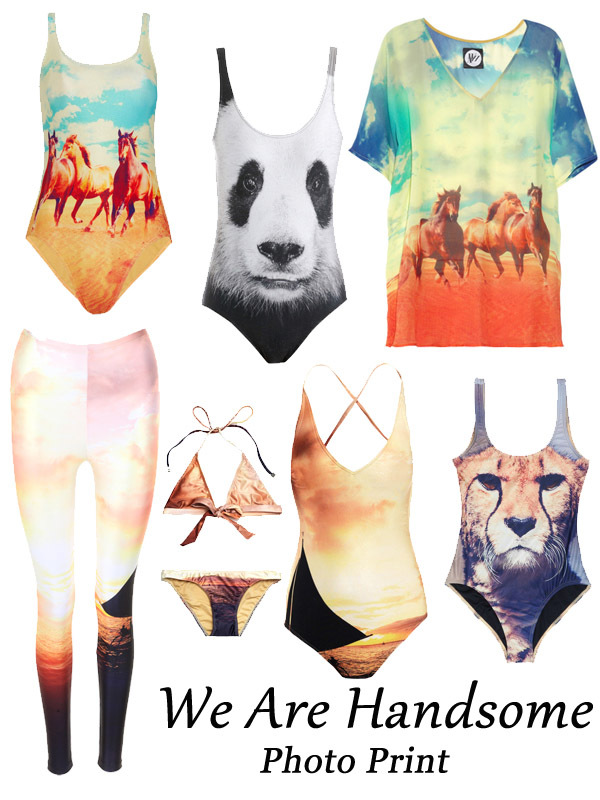 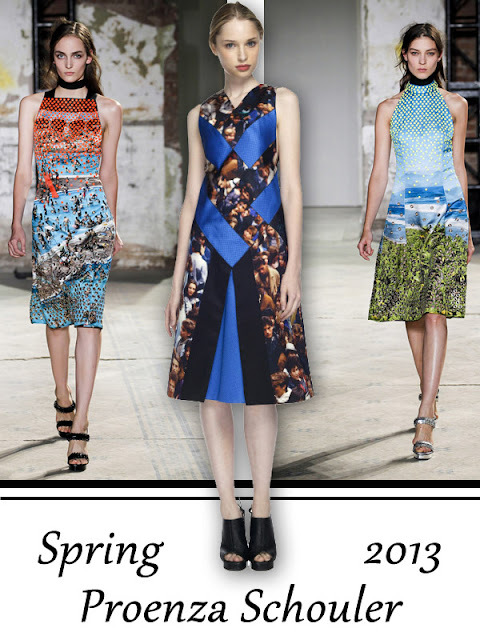 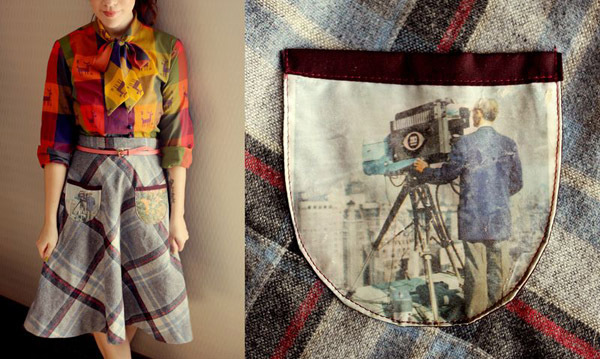 Seen here are some of her digital photoprinted creations for Fall 2013 shown on the runway in London. I came across this tutorial from Elsie at A Beautiful Mess and surely am going to give it a try, looks fun and simple enough.. ah.. can't wait... think it is going to be especially nice with a vintage image.